Karl V. Kittredge, who was previously convicted for a burglary spree targeting Christmas presents in 2007, is headed back to prison for theft stemming from a June 2012 incident. AUGUSTA — A Sidney man who spent time in prison for a 2007 burglary spree that targeted Christmas presents in homes across Kennebec County, is headed back to prison. 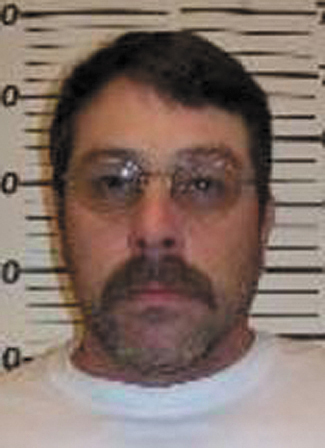 A jury on Wednesday in Kennebec County Superior Court convicted Karl V. Kittredge, 48, of Sidney, of a theft that occurred June 11, 2012, in Randolph. They cleared him of a charge of burglary in connection with the same incident. Kittredge was sentenced Thursday to five years in prison, with all but 42 months suspended and two years probation. “The jury did an excellent job of reading the law and studying the evidence,” said District Attorney Maeghan Maloney, who prosecuted the case herself. Maloney said Kittredge was prosecuted as an accomplice in the burglary, which occurred at a private home in Randolph. She said Kittredge gave his son, Karl K. Kittredge, 29, a ride home from the victim’s home and was given 10 oxycodone pills in exchange for the lift. Maloney also said the elder Kittredge made some incriminating statements to law enforcement agents. The younger Kittredge was indicted in connection with the same burglary, but charges against him were dismissed last April for insufficient evidence, according to the court record. A list of items stolen in the burglary included a safe, bracelets, a ring valued at $850, eight tickets from Funtown Splashtown USA in Saco, and oxycodone pills. Karl V. Kittredge, formerly of Pittston, was ordered to repay $3,976 restitution for the stolen items. In connection with the pre-holiday burglaries in 2007 that occurred in Monmouth, Waldo, Litchfield, Chelsea, and Windsor, Kittredge had been sentenced to seven years in prison, with all but one year suspended, three years’ probation and $8,654 restitution. He had 42 months remaining on that probation, which was revoked. He is to serve those 42 months while he serves the current sentence. Maloney said little restitution had been paid in that case. Kittredge was represented by attorney Thomas J. Carey. “I believe the jury understood who was the main culprit, and it was not Mr. Kittredge, Sr.,” Carey said on Friday.